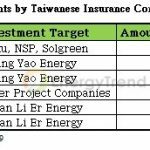 Taiwan’s Ministry of Economic Affairs (MOEA) has set the target of raising the island’s total PV installations to 20GW by 2025. Out of that total amount, MOEA has assigned 17GW to ground-mounted PV installations that are also estimated to occupy around 25,500 hectares of land. The large-scale deployment of ground-mounted PV systems is going to affect large tracts of land on the island that are already being used for agricultural activities. Summer Luo, chairman of BIG SUN, has stated that the building of PV power plants in accordance with the government’s target may affect the livelihoods of as many as 100,000 people working in agriculture and fishery on the island. Luo believes that his company’s iPV Tracker, which allows the multiple uses of available land, will create a mutually beneficial relationship between the PV installations and the farming and fishery communities. At the same time, BIG SUN’s technology can maximize the financial returns for solar investors and help the government to achieve its green energy target. 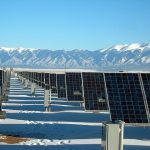 PV systems under the iPV Tracker series have been the mainstay of BIG SUN’s offerings for a long time. Features that distinguish iPV Tracker from the competitions is the dual-axis setup based on pulleys and steel-wire ropes. This allows the solar tracker to perform 360° rotations. This ability also mitigates the accumulation of dusts and debris on modules. Compared with fixed-tilt PV systems, iPV Tracker can produce 30-40% more electricity on average per year. If integrated with bifacial modules, iPV Tracker can produce 50-60% more electricity versus fixed-tilt systems. Thus, the levelized cost of electricity (LCOE) of a PV project can go down substantially with the application of iPV Tracker. According to Luo, MW-scale PV power plants in the Middle East that deploy iPV Tracker which has 40 modules as a set have been able to lower their LCOE down to around US$0.0156. Because an iPV Tracker can rotate 360°, it can also control the amount of sunlight striking the surface of an area by adjusting its rotation and tilt. This solution therefore supports the development of an interdependent relationship between a ground-mounted PV power plant and a farming or aquaculture operation. Take fish farms for example, aquaculture ponds and tanks requires regular exposure to sunlight in order to neutralize the bacteria that can worsen the quality of water. If an iPV Tracker with bifacial modules are set up beside or above a pond, then it can orient itself away from the sun (i.e. “reverse tracking”). Some of the sun’s rays would penetrate the water while others would reflect off the surface of the pond and reach the underside of the bifacial modules to be converted into electricity. This case thus shows that iPV Tracker have multiple applications in the field of aquaculture. It can support a fish farm with the power it produces and complement the farm’s daily operations at the same time. From both the structural and design perspectives, iPV Tracker is very durable and can tolerate extreme conditions. Luo has pointed out that none of the iPV Trackers installed in hundreds of PV power plants across Japan suffered notable damage during Typhoon Jebi. This recent disaster instead revealed that iPV Tracker can withstand wind forces of up to 14 in the Beaufort scale. Records of its deployment worldwide also show that iPV Tracker is recognized for its safety and its ability to protect itself from wind, snow, and dust. The smart iPV Tracker has achieved fantastic results in many places with respect to the development of multiple uses of available land. 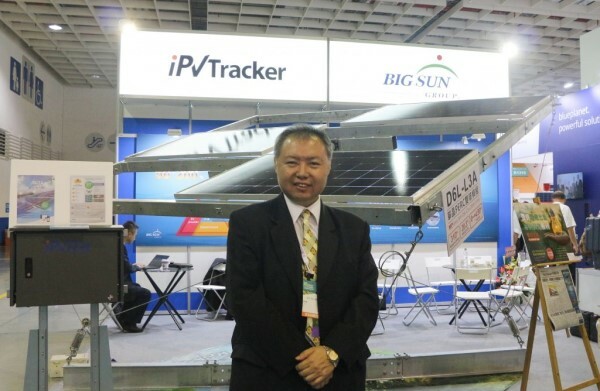 To further promote iPV Tracker, BIG SUN has started to license some of the technologies of the tracker’s mounting system (excluding electronic controls) to local manufacturers. This strategy is expected to lower the cost of iPV Tracker in many markets as well as making the solution more competitive in project biddings. In the future, BIG SUN will continue to collaborate with major domestic and foreign solar enterprises in order to grow as a company and contribute to the growth of Taiwan’s solar industry as a whole.